A group of us are participating in a year long Food in Jars Mastery Challenge hosted by Marisa of Food in Jars, and April was Quick Pickle Month. 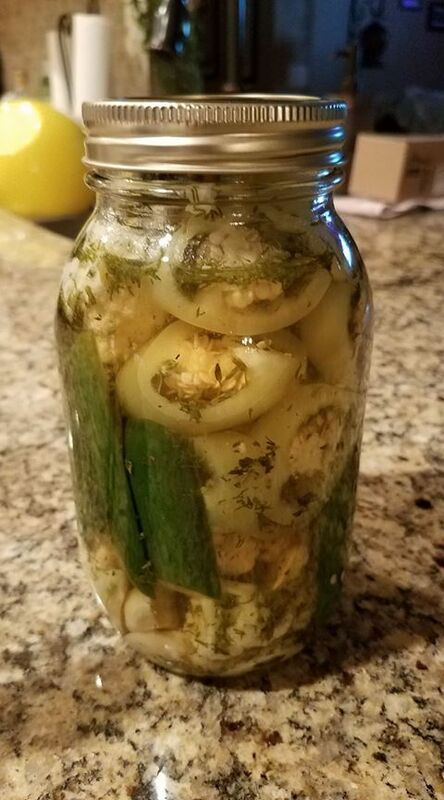 So what is a quick pickle? 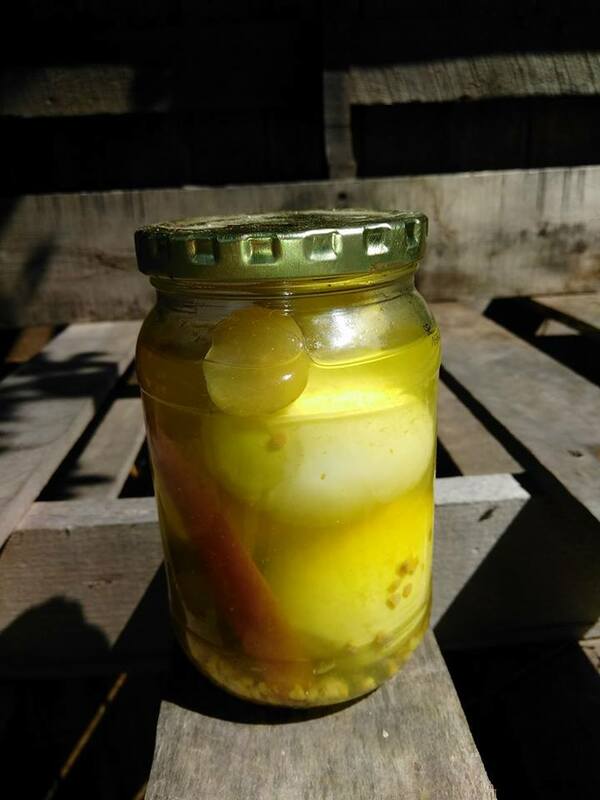 Quick pickles are also known as refrigerator pickles. They are simply vegetables (or fruits) that are pickled in a vinegar, water, and salt (sometimes sugar, too) solution and stored in the refrigerator. 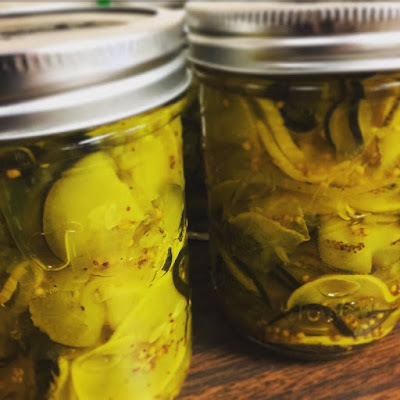 Quick pickles don't develop the deep flavor that fermented pickles do, but they also only require a few days in the brine before they can be enjoyed. Quick pickles also do not require canning when refrigerated. Cool, briny pickles straight from the fridge are one of the simplest pleasures of summer. 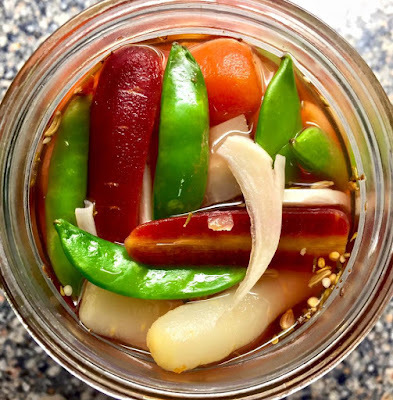 Quick pickling is also a brilliant solution for preserving a plethora of vegetables from the market or your garden. 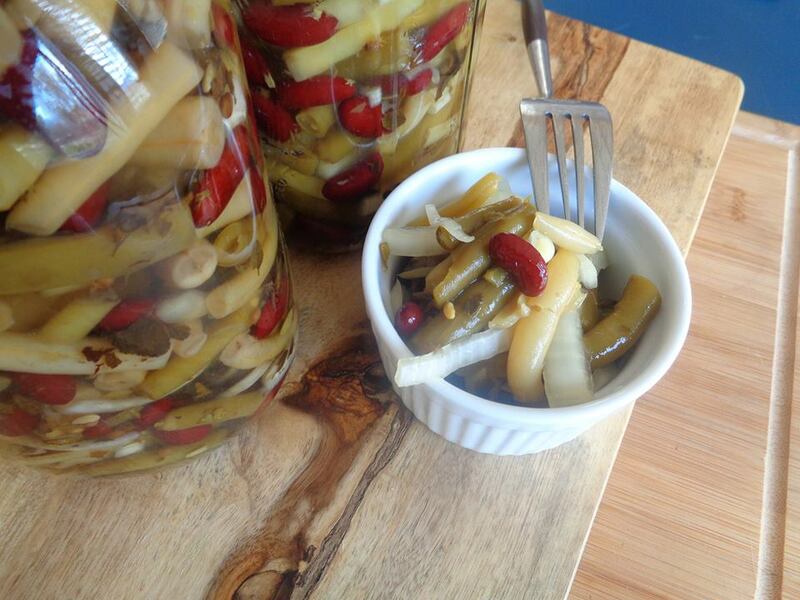 Quick pickling doesn't require canning or a bushel of vegetables. 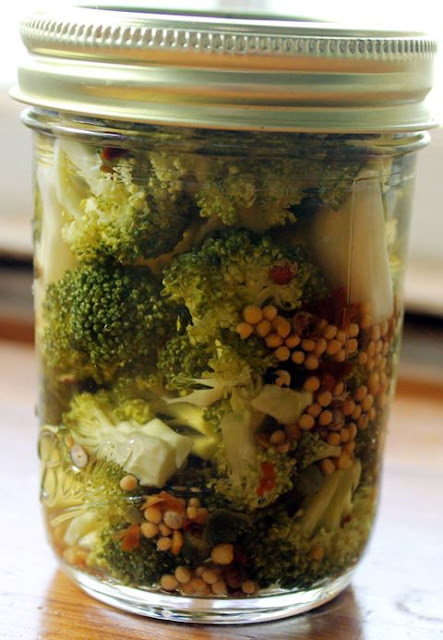 Best of all, you can adapt this simple formula for any fresh vegetables; try a mixture of vinegars and spices for a truly custom pickle pleasure. So off we set to make Quick Pickles! It was fascinating to see what each of us came up with. 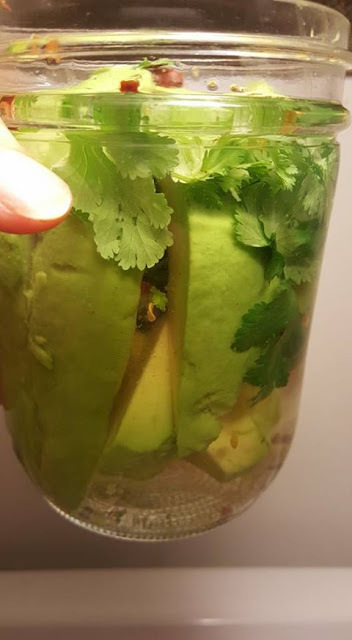 We had everything from pickled avocado, to broccoli, garlic, 3 bean salad, green beans, zucchini, cauliflower, eggs, peas and carrots and so much more! Just take a look! 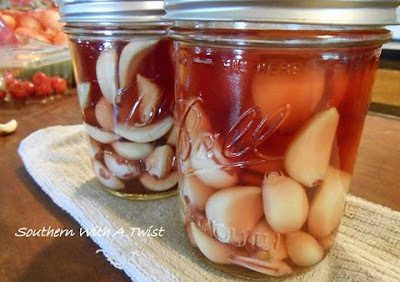 Once it came to a boil, I added 1 whole peeled and sliced head of garlic and simmered for 5 minutes. I added 1 small bag rainbow carrots cut in half and simmered for 1 minute. 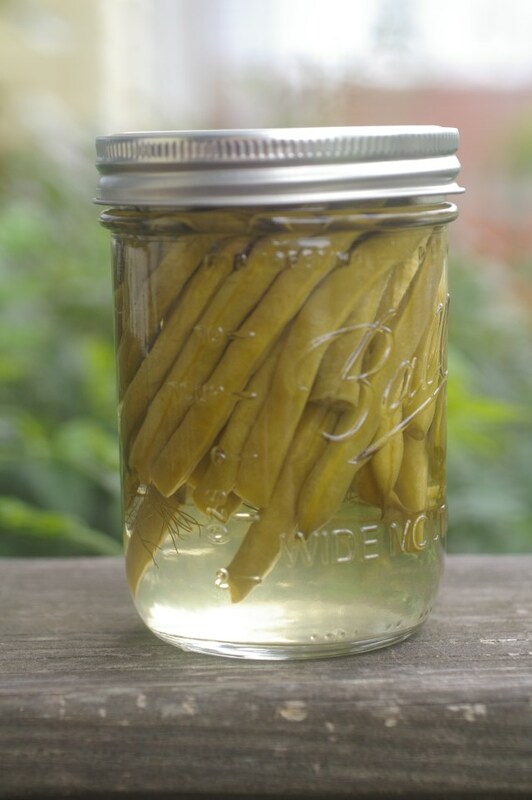 I removed the carrots and mixed them in a bowl with 1 small bag sugar snap peas and then put them in a sterilized quart jar and poured the brine over it.